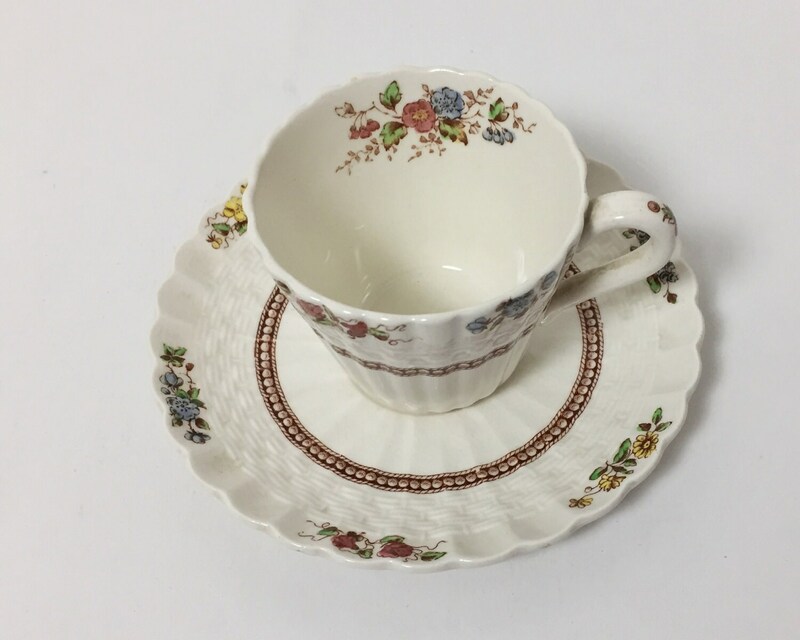 This is a vintage flat demitasse and saucer made by Spode. 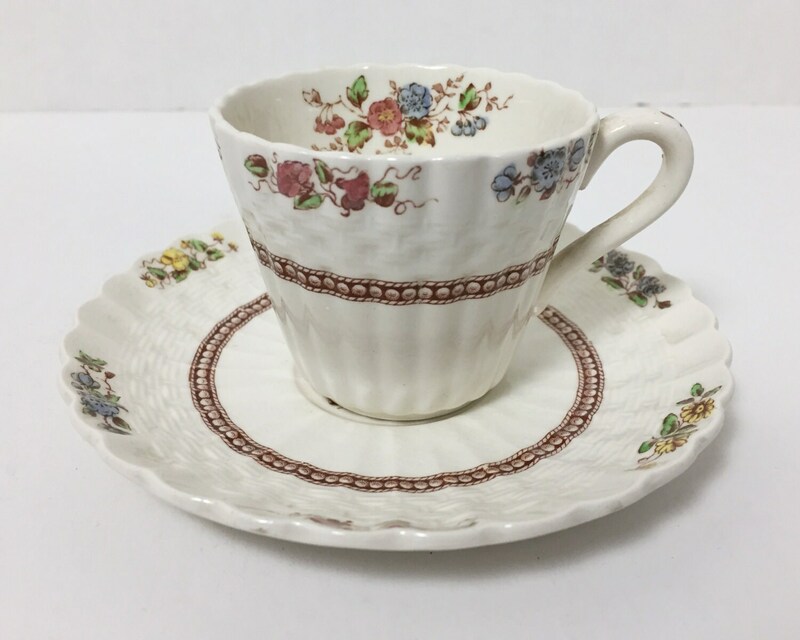 The cup features a pretty little floral transferware pattern that is called "Rosalie" on a ribbed demitasse cup and saucer with some wicker work detailing in the ceramic. Nice and petite, with a lovely refined but rustic feel to it. 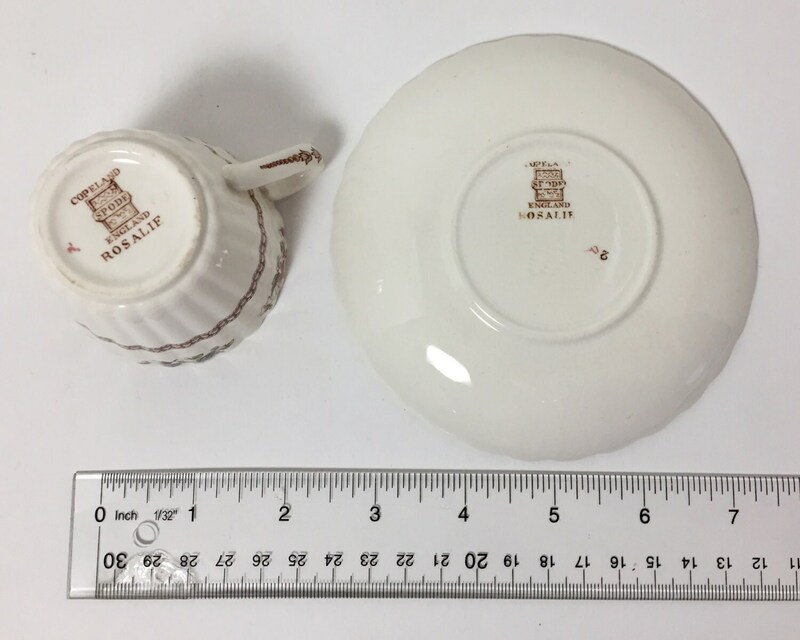 The bottom is marked "Copeland Spode, England, Rosalie" and the mark dates it from between 1954 and 1969. It is obvious that this is a quality piece, and it should be as it was made by the venerable W.T. Copeland, successors to Copeland & Garrett, and prior to that Josiah Spode. The mark of the company includes the words "Copeland Spode" and "England". The history of this famous pottery stretches back to the founding by Josiah Spode in 1770. 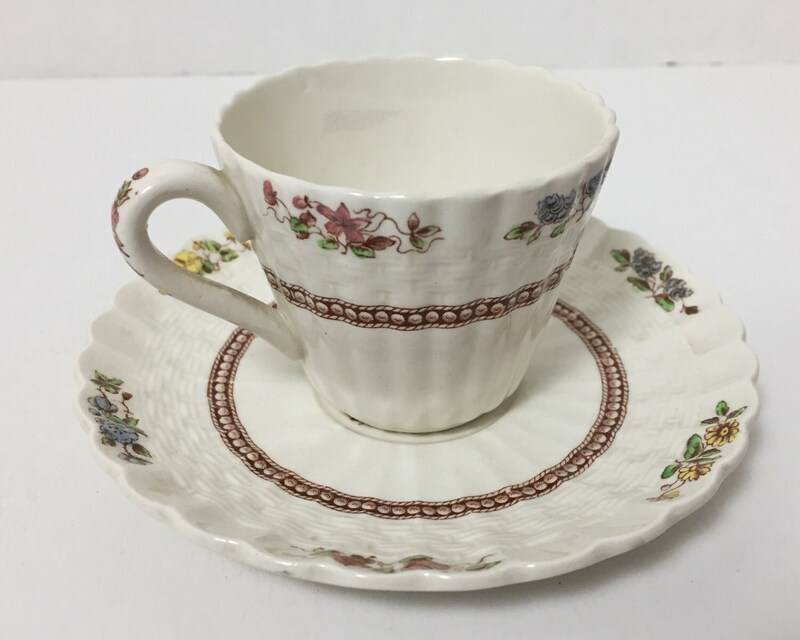 CONDITION: Both demitasse cup and saucer are in excellent condition with no chips, nicks, scratches or cracks. There is a lot of crazing in the glaze in the glaze of the saucer, but this is a common feature of this type of pottery. The cup, however, shows little crazing if any. 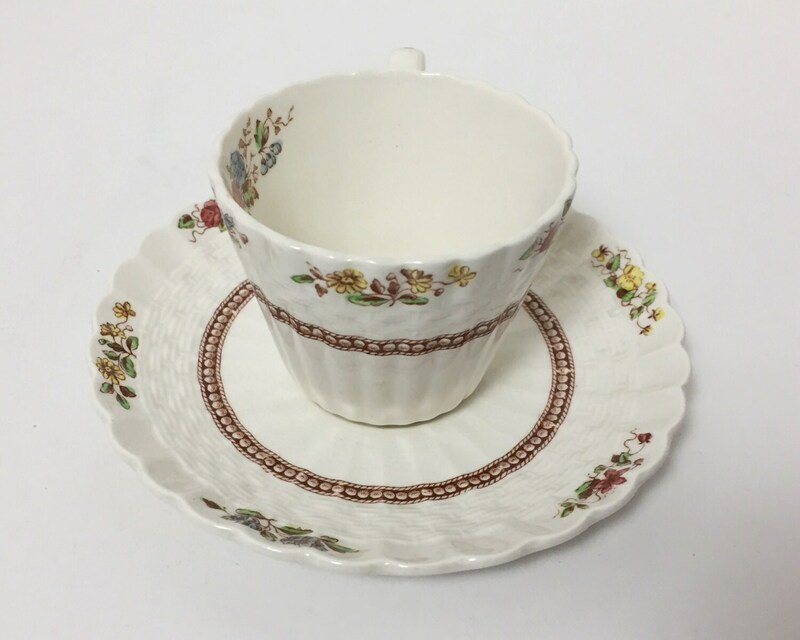 SIZE: The saucer is 5 inches wide and the cup is 2 1/4 inches tall.